Did BBCOR Standards Ruin College Baseball? Will USA Baseball do the Same? With the new changes in USA Baseball Bats starting in 2018, we were reminded of this article we wrote in 2015 discussing the difference that BBCOR bats made on the BESR approved college and high school baseball game. (BESR, you may recall, was the standard used in high school and college before BBCOR). 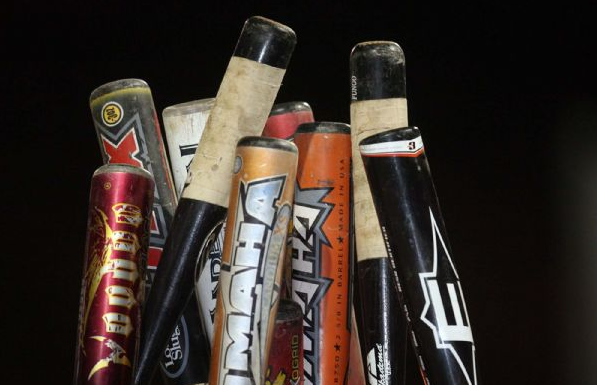 Akin to the repercussions some expected by the implementation of a BBCOR bat standard, many also claim USA Baseball’s change will hurt the youth game. It may be instructive to consider the changes the BBCOR standards had on college baseball when considering what possible changes the USA bat standard will have on youth ball. High School & College participation saw no change in participation rates despite the change in offensive production caused by BBCOR standards. Is such data translatable to youth baseball? College baseball, after realizing BBCOR bats were over restrictive and changing the game, reconstructed the baseball with a smaller seem. This has proven to increase ball flight distance and OPS. If USA Baseball determines their standard has over restricted the bat, is it even possible to control the baseball in the thousands of youth games throughout the country? Here is our original commentary on the statistical effects of BBCOR from 2015. Did BBCOR standards ruin college baseball? In short, the BBCOR game definitely changed the game of college and highschool baseball. 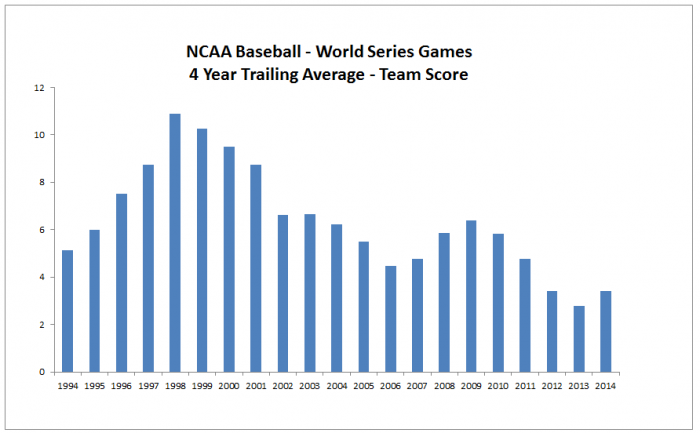 And although the game now scores well under the averages of the late 90’s, college and highschool baseball is far from ruined. Yet despite the lack of high powered offense, Highschool baseball, since the implementation of BBCOR, has seen no significant change in participation. Bat Restrictions have proven to directly restrict offensive production on college baseball. BBCOR’s implementation in 2012 decreased offense dramatically. Bats were clearly getting over effective in the late 90’s and the NCAA had to do something. But the degree to which BBCOR regulations have effected college baseball appears to have been an overdose of regulation. Was there no middle ground?